Choose between an SEP or a 401(k) for your self-employment retirement. 2. What Are the Maximum Pretax Savings in a 401(k)? For tax year 2012, you can invest up to $50,000 in an SEP IRA. Your investment is tax-deferred; you can set one up in minutes online; most online stock-trading websites offer an SEP IRA feature. This type of retirement plan requires very little maintenance. You can contribute up to 25 percent of your income if you get your wages through a W-2, or 20 percent of your self-employment income if you work under a 1099. 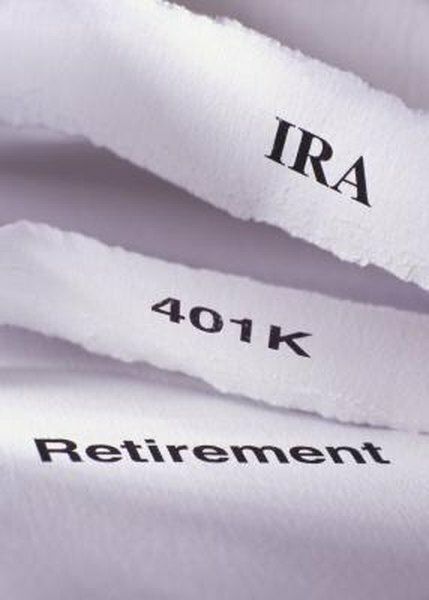 If you decide you would prefer an individual 401(k), you can convert your SEP with very little paperwork. The SEP IRA does not allow "catch up" contributions after age 50. That is, unlike a 401(k), you cannot make additional tax-deferred contributions as you approach retirement age. The IRS does not allow you to take out a loan against your SEP IRA funds. For the 2012 tax year, an individual 401(k) allows you to contribute up to $50,000, depending on what type of business you own and how much you earn. It also allows those over age 50 to contribute an additional $5,500 so they can "catch up" on their retirement savings if they started saving late in life. You can borrow money from a 401(k) under Internal Revenue Service rules. A 401(k) requires much more administrative paperwork than an SEP IRA. In addition, you will pay administrative fees for your 401(k). These fees go to the bank or the institution that holds this retirement plan for you. Your maximum contribution for each year can be complex to figure. Using a free online calculator to figure your maximum contribution based on your individual circumstances helps. IRA Financial Group: Why Choose a Solo 401K Plan over a SEP IRA?